We are engaged in the reproduction of Station Clock which was used at the railway Stations, Road junctions, squares and crescents in the early British era. We are reproducing a comprehensive range of antique Brass, which were in use at the railway Stations, Road junctions, squares, and crescents in the early British era. These station clocks are made of heavy iron and have clocks on both the sides It has two quartz, battery operated movement for both the clocks. These station clocks can also be provided with one side clock. It has two quartz, battery operated movement for both the clocks. Train Station Clock offered by us can also be provided with one side clock mainly used as nautical gift and station clock. 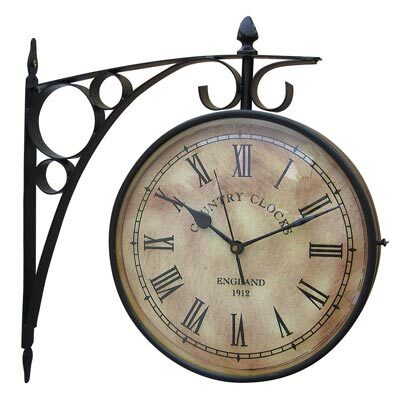 In addition, we are one of the foremost Antique Station Clock Exporters & Suppliers in the country.